Liz Austin, Nick Cotgrove, Barry and Mike Duce, Will Daly, Paul Farrall, Chris Gibson, Alan Grant, Tony Padbury, Paul Spratt, Toby Speller, David Slade, Peter Thompson and anyone else I’ve missed (sorry) who pitched in and got their feet wet scrubbing off and antifouling the committee boat on Saturday. It’s so rewarding to join in a work party, doing a worthwhile job and feeling part of the Club. Many thanks to all those who helped scrub off and antifoul the committee boat as well as the work carried out on the race hut. A nice sunny day with lovely people, if you missed out come along to the next one. Well equipped family boat, a fantastic introduction boat that will get you and your family into catamaran sailing, Single hand or take out friends for some twin trapeze fun. The Twixxy is a well equipped family boat with twin trapeze which combines performance with durability. The hulls are triple layer rotomoulded so no worries about the odd bump and you can drag it up and down the beach without damaging it. The Petal Plate trophy race is a mass start , general handicap race – all boats sail the same course and distance. If you can spare a bit of time on saturday morning around 11.00 we will be bringing the committee boat into the shore to scrub and antifoul as well as a general clean up of the boat and a few repairs to the race box. please come along if you can the more of us the quicker it will be. Congratulations must go to our team of David White and Kyle Stoneham on their Nacra Infusion F 18 Catamaran for winning the East Coast 3 Piers Race. 74 catamaran boats entered the race to Walton Pier and back to Marconi Sailing Club in the River Blackwater – a distance of over 40 miles. The race this year had favourable winds and sunny weather for the most part. The Race is run from Marconi Sailing Club in aid of the Cirdan Sailing Trust – a charity started in Maldon in 1983 – which help young people broaden their horizons through the challenge and adventure of life on large traditional sailing vessels. I’d like to start by saying that we all know that TBYC is a brilliant venue, with great water, clubhouse and facilities. At the club there is good fleet racing for cadets, catamarans and keelboats. When looking at the boats racing at the club it appears that there is a bit of a gap in terms of fleet racing opportunities for monohulls. On a given day there could be many different monohull classes racing, with perhaps one or two of each class. This seems to be a trend in dinghy racing across the country, with people less willing to travel to open meetings for class racing. 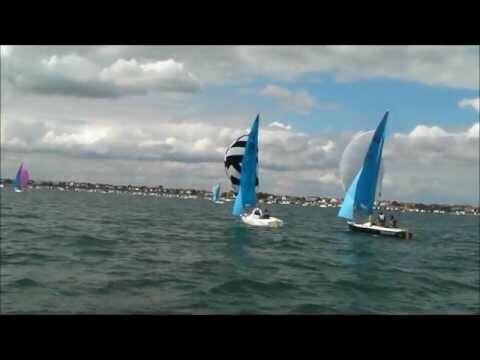 (19 boats at 2012 mirror inlands, and 15 boats at the last RS 200 open meeting). 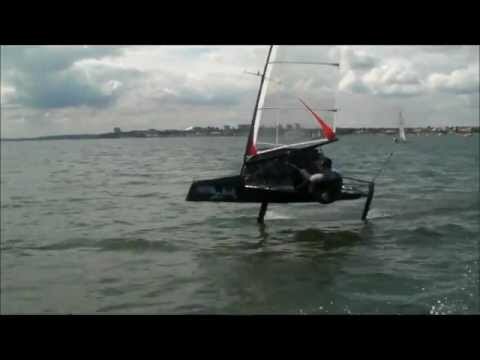 I feel that a really good way forward for the monohull sailors at thorpe bay, would be for us to start a fleet of one class which is accessible to all, fun to race, and relatively cheap to run. When i had an RS 400 on the grass at the club a few weeks ago – many people came up to me and said what a brilliant boat it was and how “I’d get one of them if there were a couple at the club that raced”. I’m not suggesting that we all go out and sell our carefully chosen classes, to get a 400 – but just wonder how many people would be interested in getting some good fleet racing going in a monohull at the club. I would suggest that many people could learn from others in a fleet. I personally would race anything against the same boat in a fleet as opposed to sail a brilliant boat against the clock (perhaps as the sandhopper fleet has demonstrated?). Obviously many others wouldn’t have this opinion!